Defined by the volcanic coastlines of Japan’s northernmost island, Hokkaido is the ideal destination to dive into an authentic wilderness experience. This past fall, I spent five days exploring some of the region’s most inspiring natural wonders and soaking in its scenic sights. During my stay, I came to the conclusion that Hokkaido is Japan’s most exciting destination right now. Let me tell you why. In the most northern, and least developed, island of the Japanese archipelago, it’s the simplicity of Hokkaido’s offerings that defines its appeal. 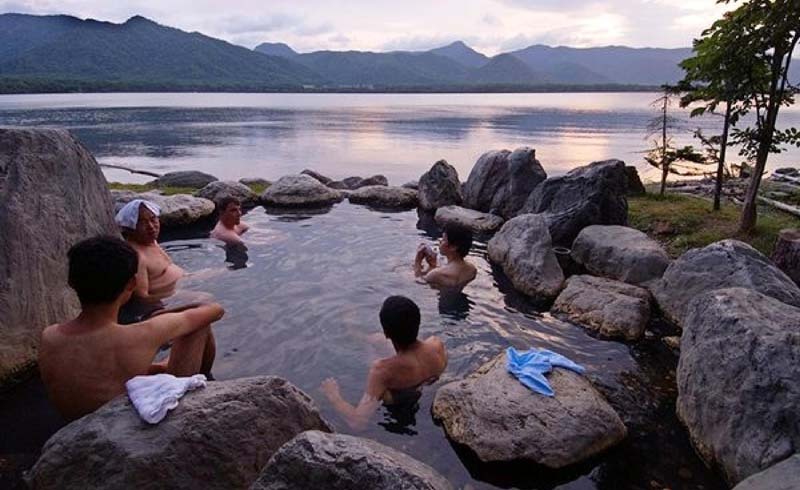 In short, it’s a haven for those comfortable far off the well-trodden tourist trail—those ready immerse themselves in rural Japan. Characterized by its wild and untamed terrain, every scenic viewpoint looks like the backdrop of a #WildernessCulture Instagram shot—brush up on your photography skills before you go and get your selfie game in order. What’s more, the biodiversity is mind-blowing—33% of all the world’s species of animal can be found in Japan, and Hokkaido boasts the most concentrated population of brown bears in eastern Asia. In fact, although you should definitely carry a daypack with water, be mindful of carrying snacks when in rural areas as those Ussuri brown bears will surely sniff out the goods. 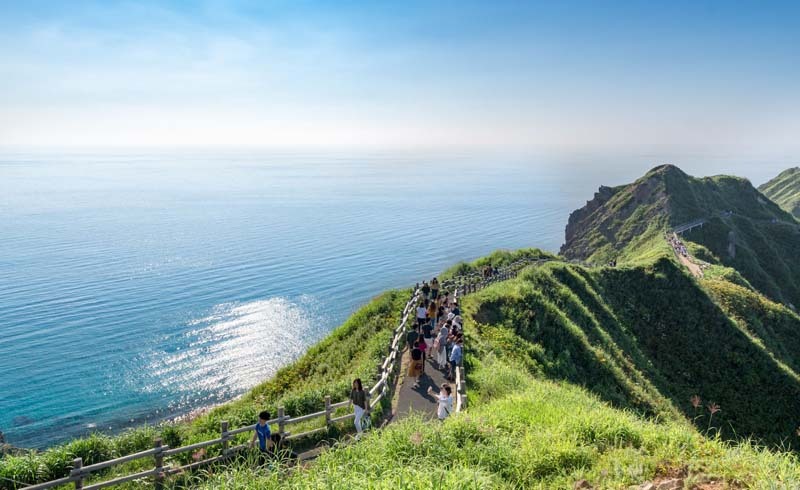 Hokkaido is also an island of extremes, and not just in terms of its varied landscapes, which boast conical volcanic peaks, flower fields, primeval forests, coastal lakes, and verdant rivers. When planning a trip to Hokkaido, you have the option to visit in four distinctly different seasons: winter boasts powdery snow and epic ice drifts, spring brings vibrant floral displays, summer days are endless and warm, and the autumn landscape is painted in shades of orange and ochre. Packing for Hokkaido depends on when you visit. No matter which backpack you bring, fill it with layers during spring and summer months as temperatures can drop at night—a lightweight travel blanket is a useful addition to your hiking backpack so that you can throw it over your knees if you get cold when resting on the trail. In tandem with the changing seasons, the region has an impressive offering of transformational adventure travel activities. Take a peek at my pick of the best things to do in Hokkaido in each season. Autumn: Hike in Shiretoko National Park. Encompassing a magnificent peninsula that protrudes from Hokkaido’s north-eastern corner, the Shiretoko region is one of Japan’s last remaining areas of truly untouched wilderness. Hiking trails wend around this scenic national park, and during the salmon run the region’s brown bear population can be seen in abundance. Winter: Discover Drift Ice Adventures in Abashiri, Utoro. From mid-January, drift ice begins to appear off the northern coast of Hokkaido. A natural phenomenon only seen in frigid polar regions, Hokkaido is the most southerly location in the northern hemisphere where you can see drift ice. If you’re feeling adventurous, you can join a tour and walk out onto its icy peaks, or scuba dive beneath its frozen surface. Keep an eye out for seals taking a break from hunting, and train your eyes skyward to catch sight of eagles, some of which have wingspans of over two meters (6.5 feet). Spring: Ski/Snowboard at Niseko United. Perhaps the most well-known Japanese ski resort, Niseko is renowned for powdery snow that blankets its spectacular backcountry and vast, long ski runs late into April. In addition to the traditional skiing and snowboarding enjoyed at most other winter resorts, Niseko offers adventure seekers the option to venture off-piste on foot or via helicopter; something that’s relatively uncommon in other areas of Japan. If you enjoy exploring challenging terrain, consider trekking to the peak of one of Hokkaido’s iconic mountains. The region’s highest is Mt. Meakan which sits within Akan National Park and showcases examples of Japan’s volcanic underbelly; those who reach the crater summit will come close to bubbling magma and hot sulphuric vents. If you have the time and inclination, road tripping is a great way to see the sights of Hokkaido. Motorhome hire is available at the region’s capital, Sapporo, and ensure you have an up-to-date sat-nav app installed on your phone because few road signs are in English. And since storage is limited when road tripping, travel with a packable duffel bag that doubles as a backpack and can be manipulated into small spaces when required, and a shoe sac to deal with muddy boots! Also, take note: Parts of the region are snowbound for half the year, so if you’re planning a comprehensive itinerary, the best time of year to embark on a road trip is June through October. For a truly off-the-beaten-path adventure, bump Hokkaido to the top of your bucket list now.